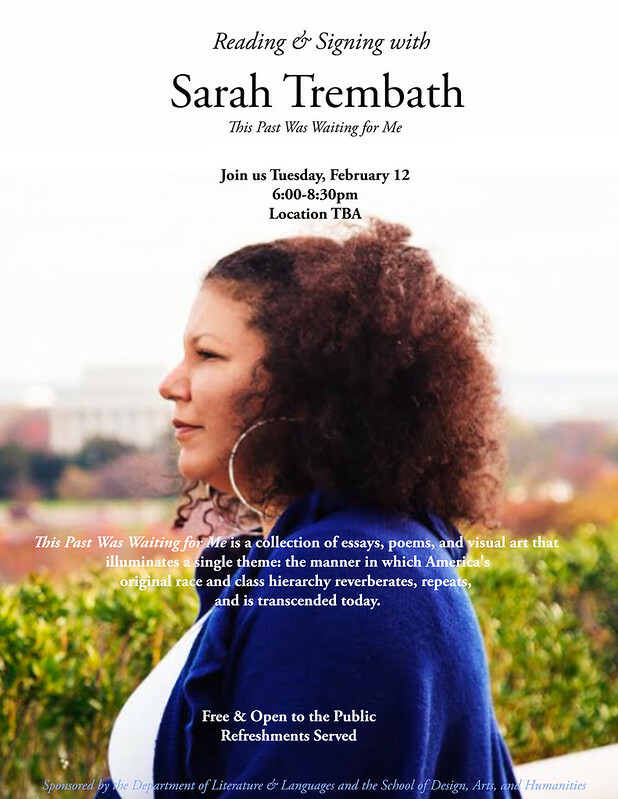 Join us for a book reading, discussion, and signing with Sarah Trembath as she launches her new book, This Past Was Waiting for Me. Trembath is a full time instructor of English at American University. This Past Was Waiting for Me is a collection of essays, poems, and visual art that illuminates the way that America's original race and class heirarchies reverberate, repeat, and are transcended today. This event is free and open to the public, and light refreshments will be provided.